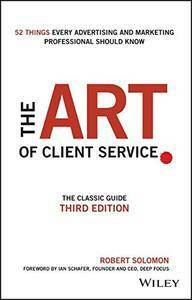 Most advertising and marketing people would claim great client service is an elusive, ephemeral pursuit, not easily characterized by a precise skill set or inventory of responsibilities; this book and its author argue otherwise, claiming there are definable, actionable methods to the role, and provide guidance designed to achieve more effective work. 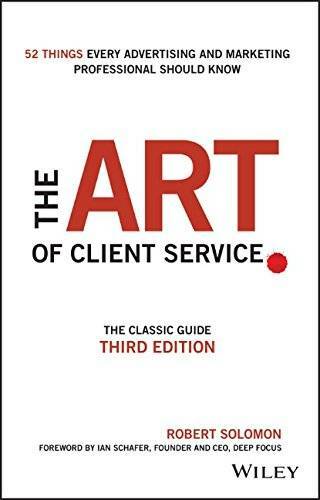 Written by one of the industry's most knowledgeable client services executives, the book begins with a definition, then follows a path from an initial new business win to beginning, building, losing, then regaining trust with clients. It is a powerful source of counsel for those new to the business, for industry veterans who want to refresh or validate what they know, and for anyone in the middle of the journey to get better at what they do.